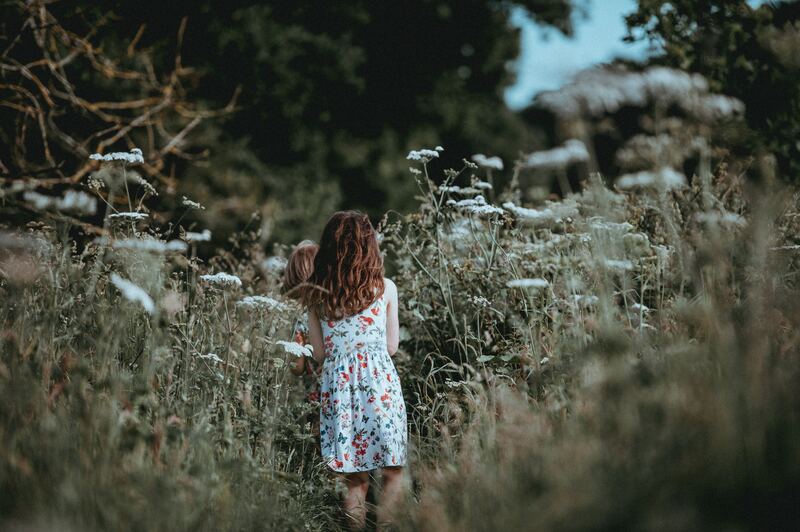 "Our children need a steady diet of open-ended, hands-on, imaginative, screen-free play to build resilience, define who they are, and thrive in life." I have had the eye-opening experience of having children across three decades of my life: two in my 20s, two in my 30s, and two in my 40s. This has given me a unique opportunity to witness firsthand dramatic and profound changes in the very nature of childhood. For my oldest pair, smart phones and tablets weren’t in existence during their formative years. My middle set were school-age when the devices started becoming ubiquitous. But for my youngest two children, technology has been a part of their lives ever since they can remember. Technology has impacted human connection and free play for children in powerful ways. One of the most startling incidents of this is what I call the “siblings on the sidelines” effect. During my oldest children’s sporting events, younger siblings would congregate on the sidelines animatedly playing with one another, making up games, exploring the environment, and running around. Today, peruse the sidelines and you will hear no yells or peals of laughter, but instead kids robotically transfixed by screens, connecting to no one and moving not a muscle. Today’s children have so much passive entertainment at their fingertips, but so little free time to play in the active, imagination-fueled way that develops the essential social, emotional, and cognitive skills needed for a successful, fulfilling life. I find this shift in childhood incredibly alarming. Having been at the helm of the toy company Melissa & Doug for 30 years, I’ve always believed in the power of open-ended, imaginative play. However, the swift cultural changes that have threatened the existence of this type of skill-boosting play have inspired me to raise my voice and address this crisis. To better understand what we’re up against, Melissa & Doug recently partnered with the Gallup organization to conduct a nationwide study of parents’ perspectives on their children’s time spent outside of school: how it is spent, prioritized, and valued. Our study indicated that while parents are concerned about their children’s level of screen time, kids’ desires to use technology often prevail, spending 18.6 hours a week on screens! That works out to an average of a whopping 2.7 hours a day, nearly triple the “no more than one hour per day of ‘high-quality’ media recommendation by The American Academy of Pediatrics. Personally, I would go even further and say that kids under 6 need no screen time whatsoever for optimal development. Zero. Zilch. Their young brains are so malleable that I just don’t see the benefits of going down that path so early. Two-thirds of parents worry — either a little or a lot — that their child spends too much time on electronic devices. And as children’s screen time levels go up, so too do parents’ concerns about children’s stress levels, academic performance, and social skills. What’s more, their concerns are valid. In China, doctors are starting to view screen addiction as a clinical disorder with serious consequences for children’s mental health and well-being, and the creation of over 400 treatment centers treating technology addiction among adolescents. It is therefore critical to provide kids other options to experience the world in a hands-on, active, exploratory way. Set some family-wide rules about screen use and stick to them. Start with a “no devices at mealtime” mandate. Put a basket on the kitchen counter to collect phones before you sit down to eat. Car rides are another time to mandate putting down the phones and connecting with each other. Kids learn by watching us. Practice being present with them. Experiment turning off your phone and leaving it in a drawer from the time you get home until bedtime. This will enable you to better engage with and focus on your children with no distractions. And experts say this simple action will additionally make you feel less stressed. So you have turned off the screens, but now what? I’m a huge believer that we all need to let our kids feel the occasional sense of boredom and learn how to occupy themselves and delay instant gratification. But I also realize that sometimes kids may need a little nudge or spark to get them headed in the right direction. A list of quick little play ideas (“Make up a nonsense language and label items around the house,” “Make paper airplanes and race them,” “Cook anything together (cookies, omelets, etc.) can come in handy. Decreasing screen time is not going to be easy, but I promise will be worth it in the long run. Our children need a steady diet of open-ended, hands-on, imaginative, screen-free play to build resilience, define who they are, and thrive in life. And it’s something we as parents must prioritize for them. Melissa Bernstein is the co-founder of Melissa & Doug, mother of six, and a leader of the movement to Take Back Childhood.